Lincoln, Neb. — Diversity and inclusion are central to the University of Nebraska–Lincoln’s mission and Nebraska Extension is doubling down. Recently, 45 members of extension’s Nutrition Education Program (NEP) participated in a daylong cultural immersion workshop. The workshop was designed to expose team members to food from different cultures and to expand their worldview. “Increasing capacity and improving our skills in diversity and inclusion is pertinent to our work with nutrition and health education across Nebraska,” said NEP Director Jean Ann Fischer. 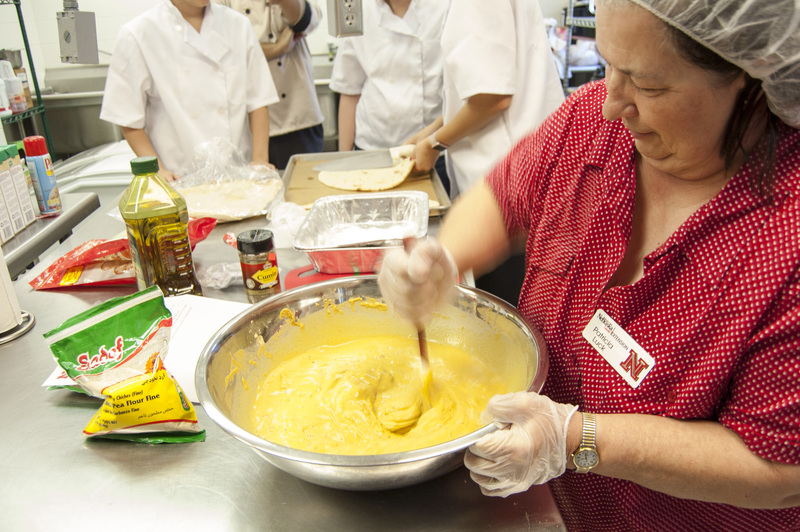 The group was divided into teams, and each group was given a recipe containing cultural specific ingredients that are not commonly used in America’s food culture. Chilaquiles, wojapi, tofu delight and tzatziki were a few of the recipes used. The groups then visited ethnic grocery markets in Lincoln to gather ingredients. The markets visited included Hispanic, Sudanese, Thai, Karen, Vietnamese, Indian, Middle Eastern/Kurdish and Somalian. 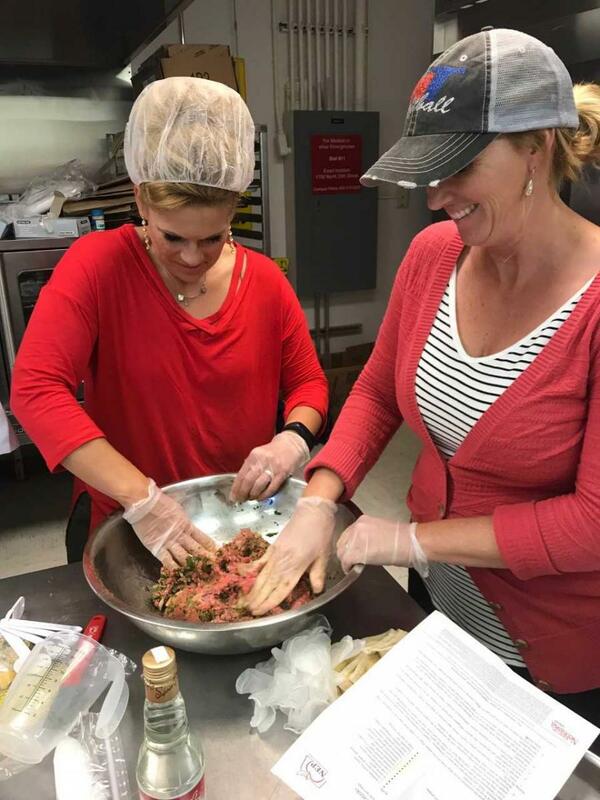 “We really encouraged the team to use their five senses while at the market, and absorb as much as they could,” said Donnia Behrends, an extension educator who was part of the team that organized the workshop. After the groups visited the markets, they returned to campus where they prepared the recipes and shared their experiences with the rest of the team. Ajai Ammachathram, an assistant professor and extension specialist in the Department of Nutrition and Health Sciences, led the debrief. Ammachathram encouraged the team to discuss the challenges they faced shopping for, and cooking ethnic recipes. The workshop also featured a panel of bilingual liaisons from Lincoln Public Schools that offered insights on working with different cultures, especially immigrant youth in the school system. They also shared “Seeds of Hope,” a film that explores how schools welcome and educate immigrant and refugee families as they start their lives over in America. The group then discussed opportunities to adjust their nutrition education programming to meet cultural needs. “The bilingual liaisons really brought the message home for our team, and Seeds of Hope really reinforced the need to support these families. I encourage everyone to watch that film,” said Natalie Sehi, extension educator and workshop organizer. Seeds of Hope is a project of Nebraska Loves Public Schools, and is available for viewing at seedsofhopefilm.org. According to Sehi, the team will be sharing their experiences and findings at upcoming national meetings. They plan to use participant feedback to determine future ethnic diversity training needs and explore options for conducting similar training experiences with other groups, both inside and outside of Nebraska Extension. The Nutrition Education Program helps families on a limited budget make healthier food choices and choose physically active lifestyles by acquiring the knowledge, skills, attitudes and behavior changes necessary to improve their health. This is achieved through school wellness, community and school gardens, healthy food pantries and child care center wellness. The program is an initiative of Nebraska Extension and funded by Supplemental Nutrition Assistance Program-Education and the Expanded Food and Nutrition Education Program. To learn more about the program, visit https://food.unl.edu/nutrition-education-program-nep.